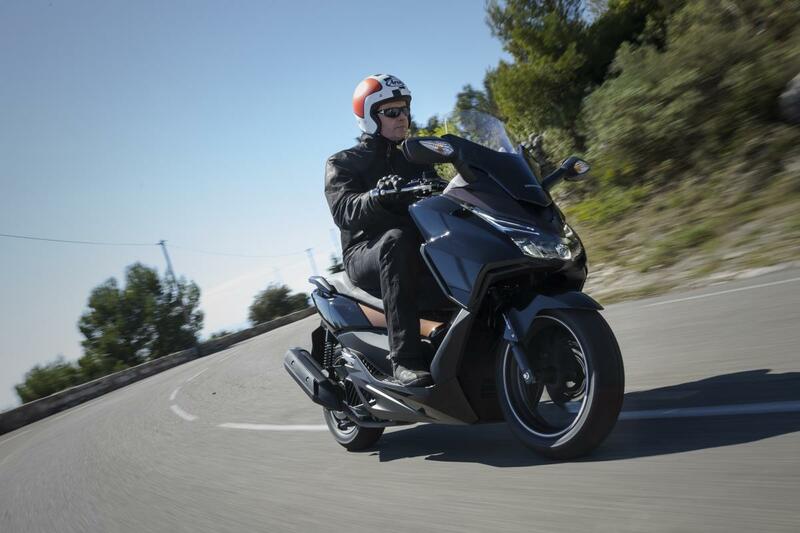 THE term ‘maxiscooter’ once referred to leviathan-like, luxury-laden twist ‘n’ gos with 500cc-plus motors. They had 100mph performance, enough creature comforts to shame an East European family car and price tags that wouldn’t leave much change from £9K. Machines like the pioneering Yamaha T-Max in 2000 redefined scooter performance, thanks to its (then) 40hp twin-cylinder motor and clever chassis. 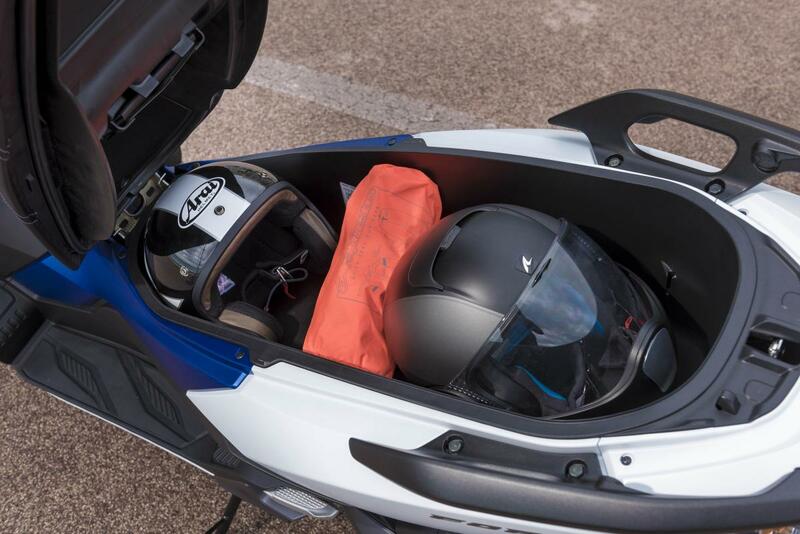 Offerings such as Suzuki’s 650 Burgman and Honda’s 600 Silverwing provided luggage space, comfort and gizmos more commonly associated with small cars. As exercises in excess, maxiscoots had it all. 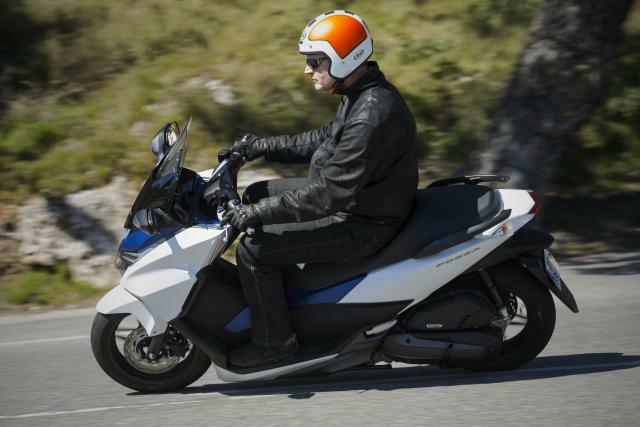 While range-toppers like the 650 Burgman have, admittedly, become bigger, flashier and even more expensive (the latest ‘Executive’ version is now £8,799), there’s also been a parallel trend for smaller capacity ‘maxiscooters’. Machines which deliver much of the comfort, equipment and luggage capacity of the originals, but with smaller engines of 250 and now 125cc. It makes more sense than you might think, too, by putting all that comfort and class within reach of A1-licence holders, ie those most likely to want this sort of vehicle. 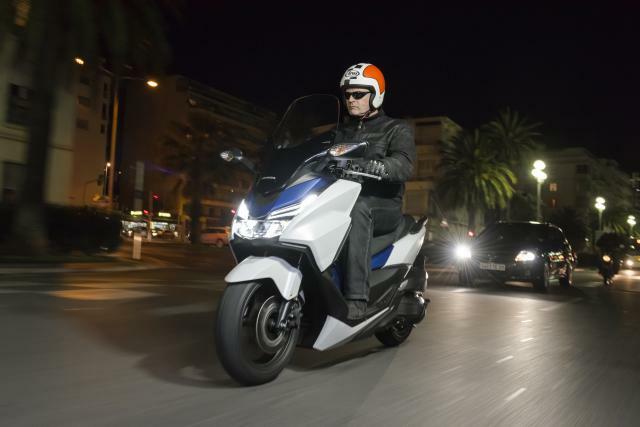 So, Yamaha’s Tmax 500 was joined first by the Xmax 250 and, more recently, the popular Xmax 125. A 125 joined the 400 and 650 in Suzuki’s Burgman range and there’s a steady flow of similar newcomers from the likes of Piaggio, Peugeot and Kymco. And now Honda itself has finally joined the eighth-litre superscooter class with this all-new Forza 125, which complements the existing 300cc version. The aim, Honda modestly claims, is to ‘be the very best a 125cc scooter can be’. Even a cursory once-over shows this to be no idle boast. With no 125 badging to speak of, you’d be forgiven for mistaking the Forza’s substantial, full-size proportions for those of a 250. The dual seat, with neat, contrasting stitching, is large and sumptuous. The bodywork (styled, incidentally, by the designer responsible for the wacky NM4 Vultus) succeeds at being both enveloping and sporty. Its front, in particular, has more than a shade of CBR600RR about it. Everywhere you look there’s typical Honda quality and lavish equipment. Different materials and finishes – matt, satin, gloss – blend and compliment each other. 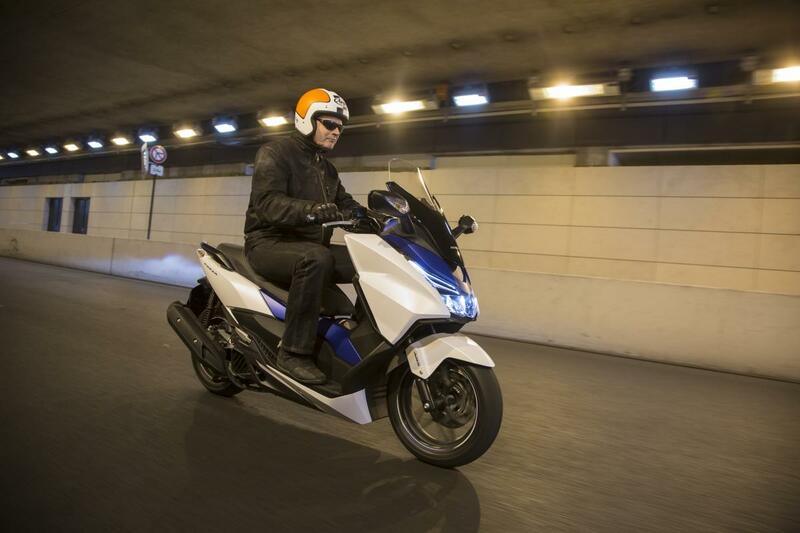 All the lights – head, tail and indicators – are full LEDs. Onlookers are left in little doubt the Forza is a quality piece of kit. Inside (if scooters can have an ‘inside’), the impression continues. The dash comprises a full ‘car-style’ twin analogue dial layout, for speedo and tacho, though why you need a rev-counter on an automatic is beyond me. There’s the usual (in this case beautifully damped) cubby hole in the fairing inner, complete with 12-volt power socket. The mirrors are classily useful and also easily fold out of the way when wiggling through traffic. 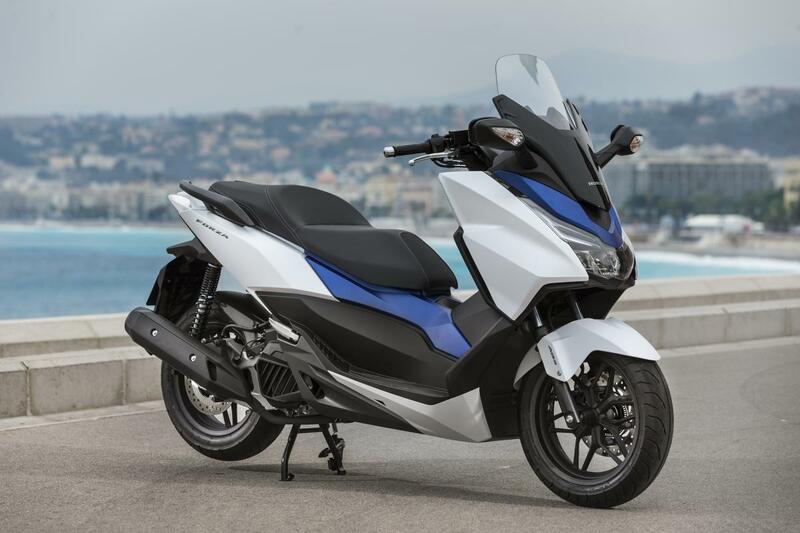 But what already sets the new Forza apart from rivals, like Yamaha’s Xmax, is that it goes above and beyond the usual. 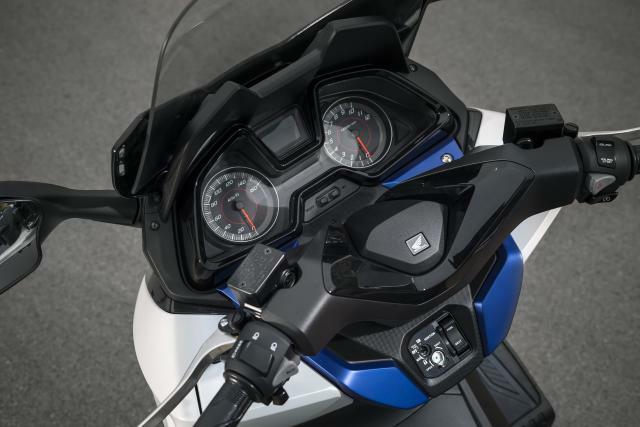 So, for example, the new Honda features a switchable ‘idle stop’ function, whereby the engine turns off to save fuel after three seconds stopped in traffic. It then immediately restarts when you twist the throttle. If you prefer, you can easily deactivate it via a switch on the right-hand bar. 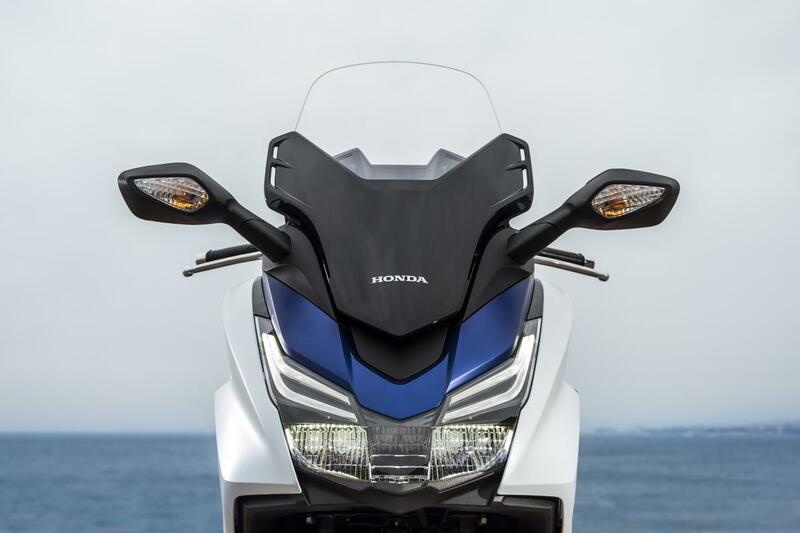 Honda’s newcomer also has what is almost certainly the most voluminous luggage space in the class under its beefy saddle. Two large full-faces are genuinely accommodated in the 48-litre cavity, or a lid and bag, or any similar combination of your choosing. While the Forza’s ‘piece de resistance’ is surely its one-hand height-adjustable windshield – a first in the class – whereby the screen slots in and out of the bodywork on a six-way ratchet system over a range of 120mm.